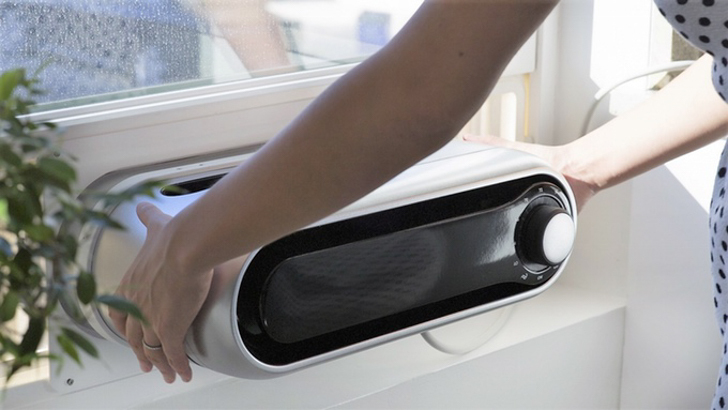 Slim and discreet, this new breed of window air conditioner would work well in an RV. Finally there’s a window air conditioner unit that is small enough in size and not a total power hog to use in an RV. 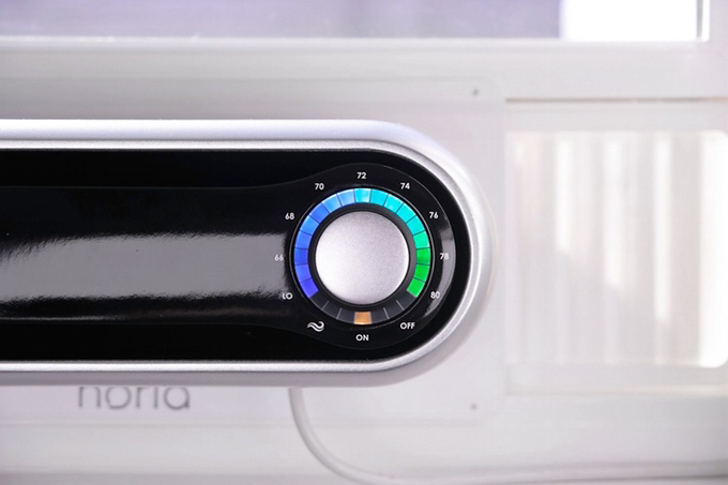 Meet the newest window AC unit on the market – Noria! Perfect window AC unit for a variety of small spaces. Noria is still in its Kickstarter fundraising stage, but it’s already secured double the funding goal. It will retail for $400, but there’s an early bird special for a bit cheaper. 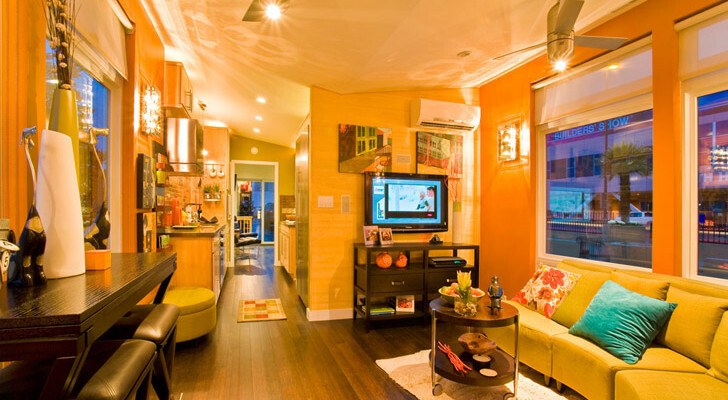 With so many great features that meet the needs of people living in apartments, tiny homes, RVs, and regular houses, it’s not surprising that this unit is getting so much attention. Noria comes with an adapter to easily fit in a variety of window sizes. 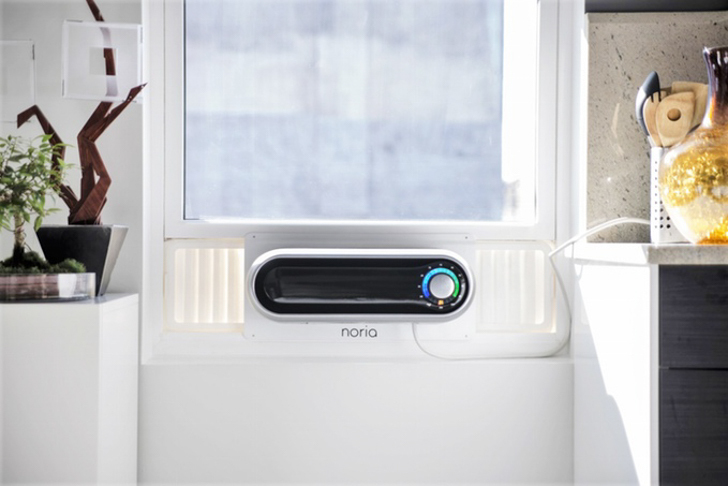 Instead of the awkward size and weight of regular window AC units, Noria was designed to be low profile and lighter. 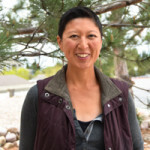 Noria weighs approximately 30 lbs and is sized at 5.8″H x 18.25”W x 15”D, compared to standard window units with the same cooling capacity that weigh 45 lbs and are 12″H x 15″W x 14″D. The new A/C comes with a window adapter so it easily fits into a window measuring 21” to 36” wide. 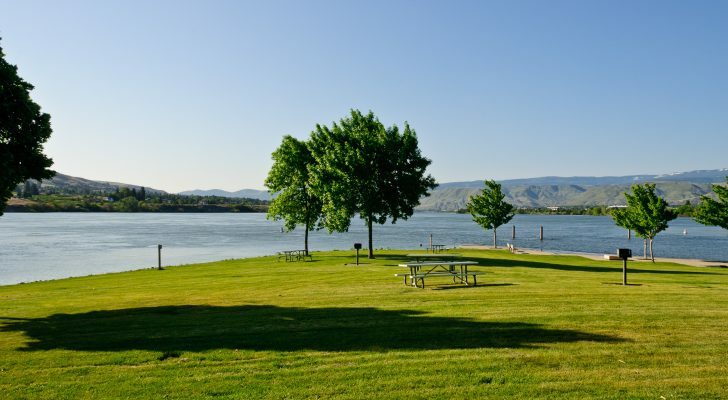 It’s quick and easy to install the adapter, which goes in first, and creates a secure, sealed frame for the air conditioner to slip and lock into. 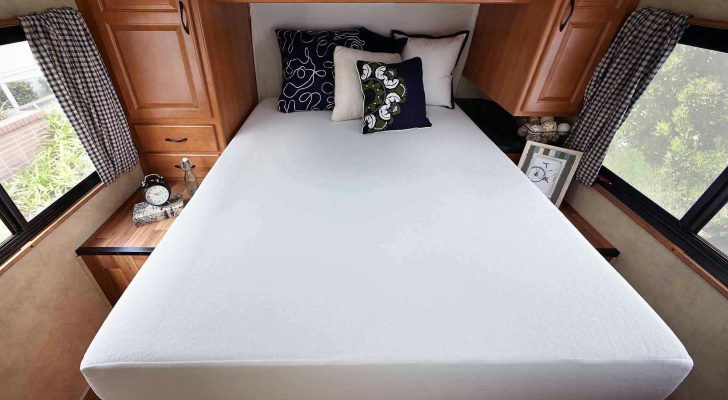 Not only is it good looking, but its low profile makes the unit easy to store. To make the installation even easier, Noria is designed with a handle and rounded corners. Unlike traditional window units that fill up an entire window space, Noria is less than 6” tall so you keep the view from your window. Storage looks a lot easier, too. Noria uses a refrigerant that’s environmentally and ozone-friendly. This window unit has a 5,000 BTU/hour cooling capacity which will cool a room up to 160 sq. ft. Drawing 460 – 480 watts, it’s totally usable in RVs via a generator, RV battery bank or large solar set up. 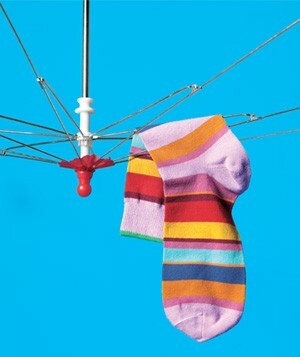 The intuitive interface consists of a single knob that controls the most important thing: the temperature. 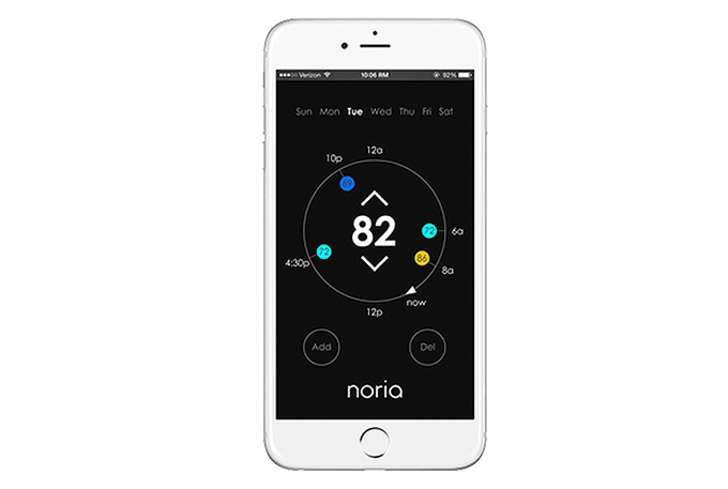 Noria can also be set to a schedule via an iOS and Android app, letting you come home to a cool space without using more electricity than needed. During cool evenings, Noria’s fresh air mode can be selected to bring fresh air in from the outdoors. Control Noria from the palm of your hand. 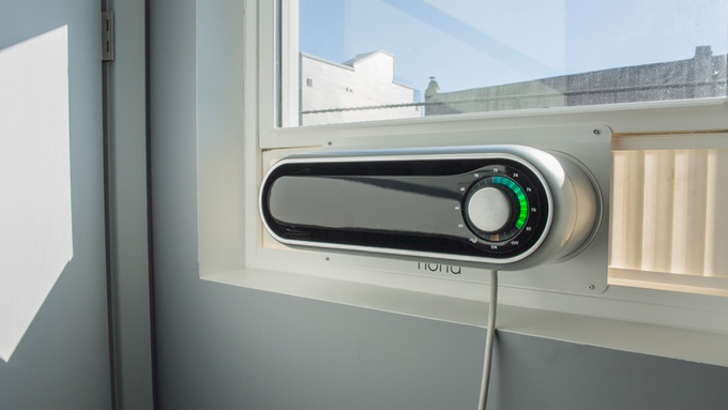 Its concealed fans, ventilation system and compressors makes Noria a lot quieter than traditional window units. Measured at 50 dB, Noria is about as loud as a moderate rainfall. 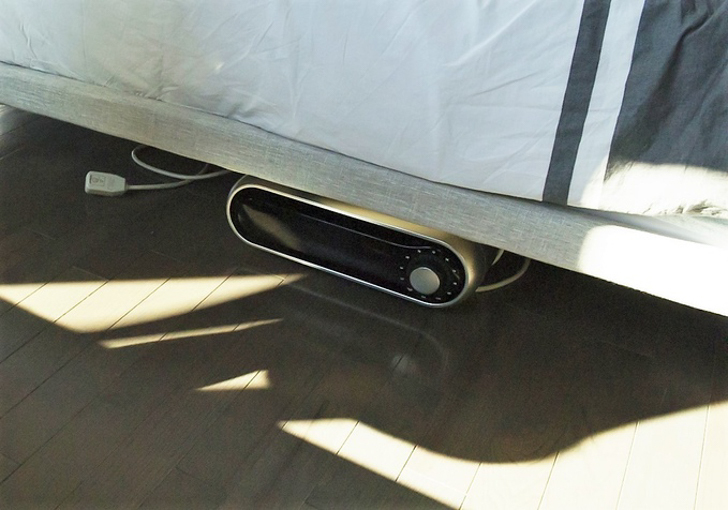 There’s also a night mode with dimmed lights, so there’s no more blaming the A/C unit for a bad night’s sleep. This modern and minimal AC unit is great for RVs! 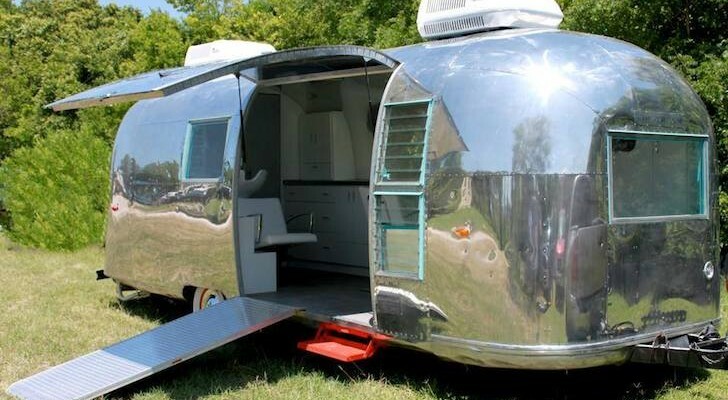 It uses a lot less power than roof top AC units that come with most camper models. Removing a rooftop AC would free up valuable RV roof top space so you could fit an additional solar panel. 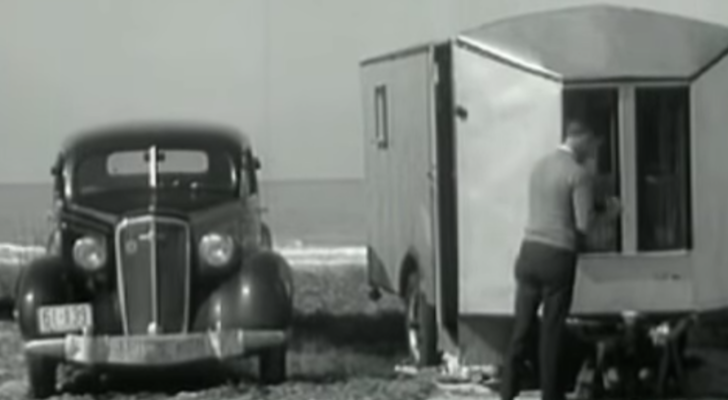 And it weighs a lot less than roof top units – and window units for that matter. On top of all that, you get to keep the incredible view out your window!